Welcome! Grab your favourite cuppa & get comfortable for a natter! Enjoy my favourite recipes, all tried, tweaked and true! Strudels are a versatile bunch, really – they can be sweet like the traditional apple strudel, or savoury with either meats or simply vegetarian. I keep phyllo dough on hand in the freezer for a quick make-ahead meal; I mix the stuffing together in the afternoon and roll it up into the dough, flip it seam-side down on an oven tray lined with baking paper, then score a few steam-vent gashes with a knife, brush it with a bit of cream or whipped egg, and pop it in the cold oven. When it’s time to bake, I turn on the oven and let it bake for ~50-60 minutes. Wah-la! Here’s a mixture I put together yesterday; it was fabulous, and I promised to write down the recipe so that I could make it again! 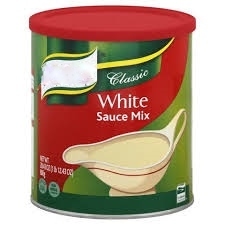 The image below is not mine, but it represents how it comes out looking, sans sauce on the side; if you want to add a sauce, start off with a good Belchamel sauce, and perhaps toss in a bit of thyme and a grainy mustard to give it pizazz! In a pan, slowly cook the chicken, sausages, potatoes and onions until done; season to taste (the thyme gives a nice rustic accent to the meats). Set aside to cool. In the meantime, chop up the cheeses into a large bowl, and whip in the eggs. Pour the warm meat mixture into the bowl, and stir thoroughly. Roll out the first pastry dough, and line half of the mixture down the centre, leaving a finger or two’s width at each end. Fold the sides of the dough in; pinch the ends together, and, using the baking paper that the dough is wrapped in, fold it under to flip the dough into place (seam-side down) on the baking tray at one side (leaving room for the second). Score the dough along the top, then brush with a bit of cream or beaten egg. Repeat for the second strudel, laying it along the opposite side of the tray. Pop into the oven. Bake at 190-200°C (375-390°F) for 50-60 minutes. This is a recipe I keep on hand; it’s easy to make and use, and will save a lot of time when making a more complex meal. You can also add a bit of this paste to any liquidy meal you need to thicken. Combine dry milk, flour and salt. Mix well. With a pastry blender, cut in butter, margarine or oil until mixture resembles fine crumbs. Put in an airtight container, store in refrigerator and use within 2 months. Combine ½ C. white sauce mix, 1 C. (or more, to required thickness after the flour has had cooking-time to swell) cool water or milk, cook over low heat until smooth, stirring constantly. Season as desired.